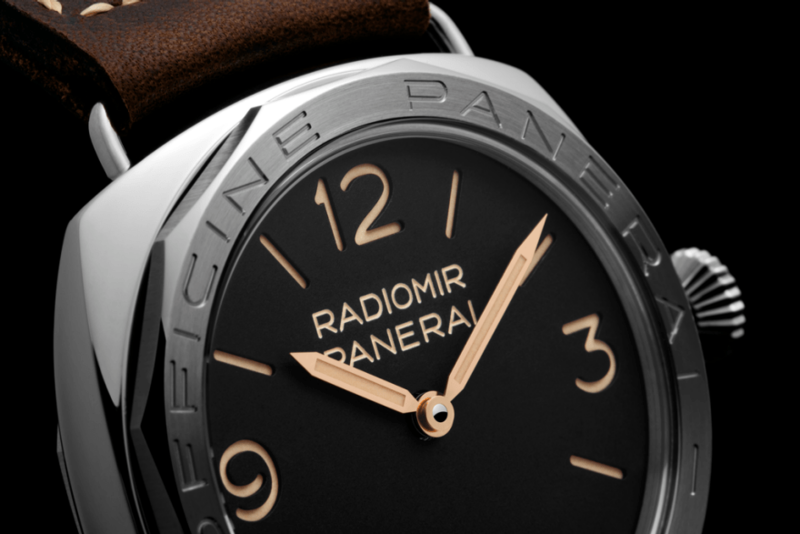 In the late 1930s, Panerai made a number of Radiomir watches with a special 12-sided bezel, engraved with the words “OFFICINE PANERAI – BREVETTATO”, an inscription referring to the patented luminous substance Radiomir, used on the dial. 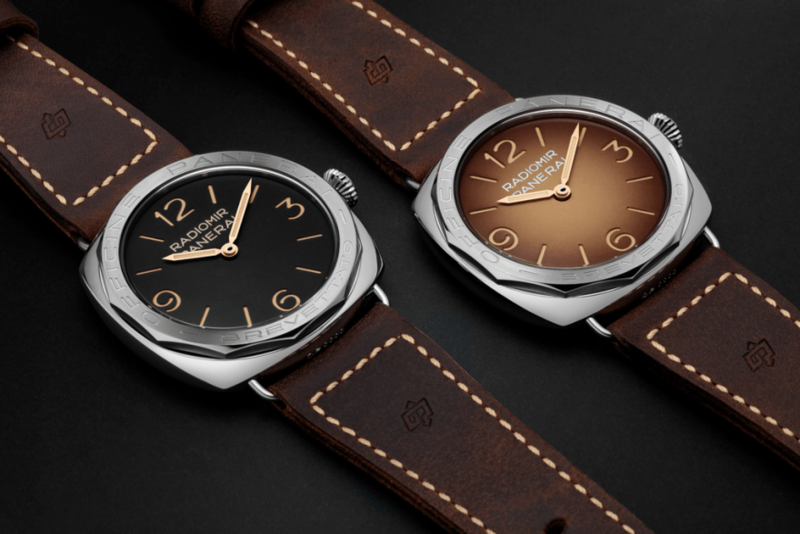 The Neuchâtel Manufacture honors the 1930s Radiomir this year with two Special Edition Radiomir 3 Days Acciaio. The timepieces reproduce, for the first time, all the fundamental characteristics of these vintage watches. The vintage touch is very apparent on the new Radiomir 3 Days Acciaios; a 12-sided bezel in brushed steel, with smoothed, polished angles and the same engraving as the historic models, a bezel screwed onto the classic cushion case band of the watch and an elegant symmetrical construction divided into three parts, clearly visible on the profile of the stainless steel case, which has the same classic 47mm size as that of vintage Panerai watches. In addition, the untreated brown leather strap is easily replaceable through the wire-loop removable strap attachments. The remarkably simple and minimalist yet imposing dial is also inspired by the historic models, with its sandwich structure maximizing the legibility of the large figures and markers. 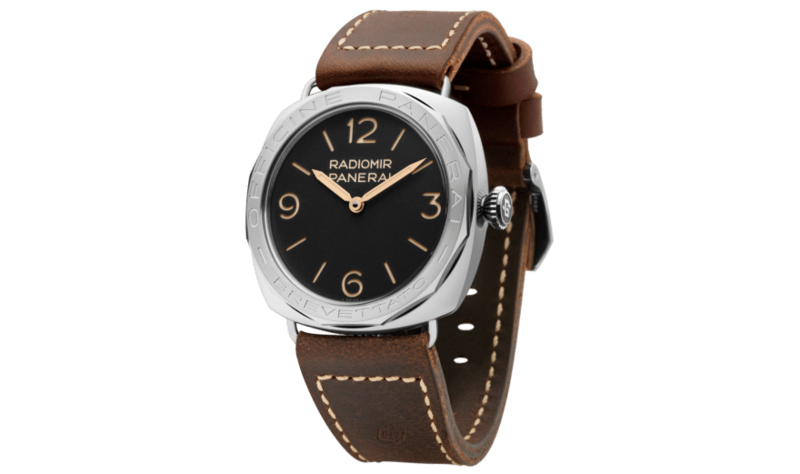 It is available in the original vintage model black color (PAM00685), or in a completely new color in the Panerai collection, shaded brown (PAM00687) -which we are loving! 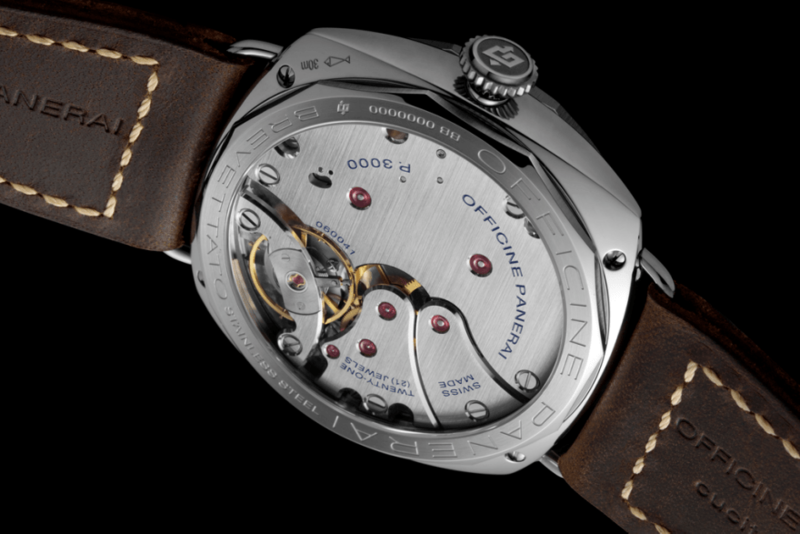 On the back of the case, the P.3000 hand-wound mechanical movement is revealed through a large sapphire porthole. The calibre, completely created at the Manufacture, measures 161⁄2 lignes and has large, brushed-finish bridges covering the greater part of the wheelwork, a large balance wheel 13.2 mm in diameter and two spring barrels, which provide a power reserve of three days. The movement also has a device for quickly changing the time, enabling the hour hand to be moved backwards or forwards in jumps of one hour, without interfering with the movement of the minute hand or the running of the watch. The certificate personalized with the serial number of the Edition, and a rare publication describing the military equipment of the special forces of the Royal Italian Navy are guarded safely inside the elegant wooden box in which the watch is presented. The two new editions revive the appearance of the vintage models transformed by time. Previous Post Sixty Years Later, Aston Martin’s DB4 G.T.